Rawat along with PCC chief Kishore Upadhyay and a host of other party leaders had held a dharna at Jantar Mantar On Friday in protest against rejection of the state government’s zonal master plan on Bhagirathi ESZ which seeks permission to run small hydroelectricity projects in the notified area. 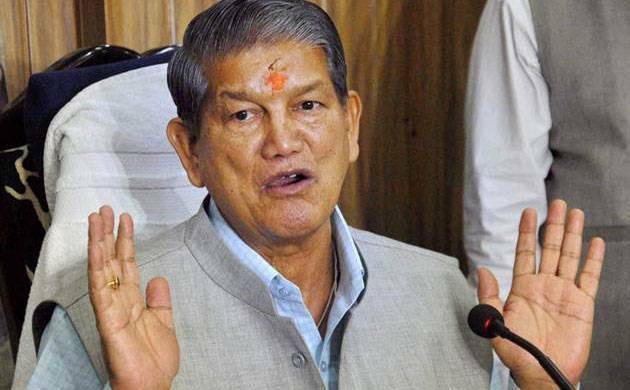 BJP on Friday termed Chief Minister Harish Rawat’s agitation at Jantar Mantar over the rejection of Uttarakhand government’s zonal masterplan on eco-sensitive zone as “drama”, claiming he was doing it to hide his own failures. “Rawat has been in the habit of doing drama to hide his own failures. The only difference this time is that he is doing so in Delhi. The fact is that the ESZ notification was issued by UPA-II in which Rawat was a minister and there was a Congress government in the state,” Pradesh BJP president Ajay Bhatt said in a statement here. He accused Rawat of doing nothing as a Union minister and sending a zonal master plan on the ESZ to the Centre after becoming chief minister, without conducting a hearing with people of the notified zone. Bhatt claimed that the chief minister was only shedding crocodile tears over the issue.